Hey Dude Shoes > Canvas shoes > Top 5 Summer Shoes For Men! In need for a rough-cut backless loafer for the ultimate comfort in relaxed, casual footwear? The Martin is what you need, available in Black, Chestnut and Oceano. 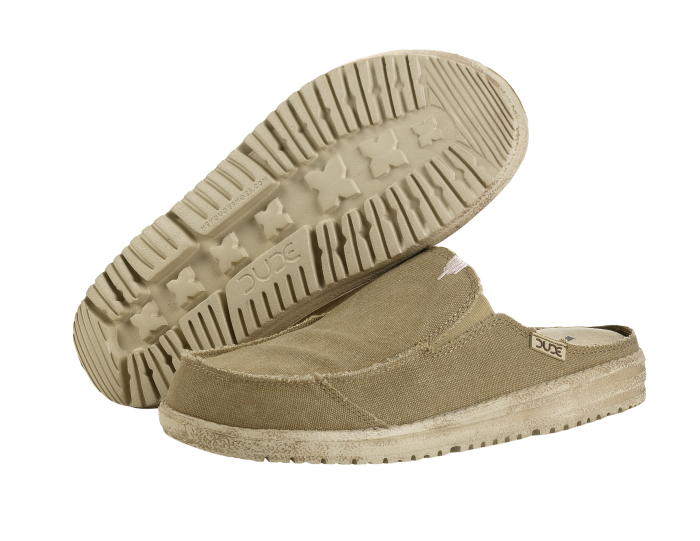 The Ridgewide sole unit and relaxed fit guarantee that this will be one the most comfortable shoes you will ever wear. 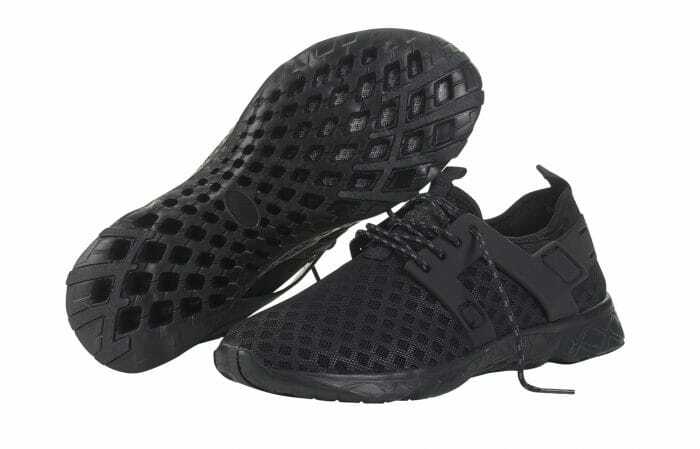 Features include a leather-lined, removable memory foam insole, allowing it to be worn barefoot without attracting bacteria that leads to odour. The insole can be wiped clean and the shoe put into a cold machine wash when needed so you can continue loving them summer after summer. The Farty’s ultra-comfortable and ultra-wide fit will keep your feet happy wherever your adventures takes you this season. The Farty’s can be slipped on with ease and the back has elasticated panels around the heel so that they can be converted to a slip ons for added convenience. Now available in a broad new range of colours and materials, find your go-to memory foam footwear this summer in our ever-popular mens wide fit loafers. Funk – Continuing the popular Funk range, mix it up this summer with the colourful, contrasting elastic accents of the Grey Azur and the Grey Lemon. Natural – Featuring an organic cotton upper and new Coco Soul insoles, made from recycled rubber with a cork lining and infused with the fresh smell of coconut oil, go natural in the Black or Tundra. Perforated – Perfect for letting your feet breathe after a long day on the go, give your feel a break in the Chestnut or Grey. Print – Great for pairing with relaxed holiday outfits, enjoy the fun designs of the Blue, Red, Etno Beige and Navy Flower this season. Washed – For a relaxed, beachy look, the Mud, Navy, Dark Grey, and Black all feature a soft, stonewashed upper for added comfort and a laid-back appearance. The Buster is a mens casual shoe, perfect for the deck or the beach this season. Set on the Moc Vulc sole unit for added grip and flexibility, this style also features a rustic, woven hemp lace which is complemented by the stonewashed upper for a weathered, beachy look right out of the box. Contrasting suede panels at the eyelets and heel cup give the Washed Steel Blue, Washed Dark Grey, and Washed Sage added sneaker style. An innovative new-comer from last Spring/Summer, the hugely sought-after Mistral sees two new colourful designs added to the range this season. The airflow sole unit allows both water and air to flow freely in and out of the shoes to give these shoes truly amphibious freedom. Super-lightweight and perfect for keeping your feet cool in the height of summer, choose from the Navy Melange, Black, Total Black or Grey Melange and take it easy this season – your versatile mens beach shoes. Why not step into summer in comfort with Dude’s amazingly comfy flip flops. Continuing on from their popular reception following their launch last Spring/Summer, the new Sava styles include the Grey Azur, Grey Lemon, Etno Grey, Etno Beige and Musk and all feature a canvas-lined memory foam insole which is imbedded into the ultra-wide Superlight sole unit taken from Dude’s well-loved Farty.